Chrome is a big resource drain on computers. Enough said. Google is always stripping out or killing off programs and capabilities, as well as releasing incompatible upgrades. Can you trust Chrome will always work? Privacy concerns. If you don’t already know how invasive Google is, Bing or Duck Duck Go it. Redundancy and backup services. Always good policy to have backups in the toolbox for audio streaming voice over in case Chrome lets you down. Your Options with Google and Microsoft. Outside of Opera and Yandex, there is another Chrome solution other than the latest Chrome browser. The support staff at ipDTL recommends using the M57 and not the latest version of Chrome. ipDTL has also released stable Chromium versions which are free to download at the Facebook ipDTL Users Group. Join up, and then search for Chromium Browsers. I highly recommend the group for all your technical questions related to ipDTL, and they’re very quick and helpful with their responses. As for the Edge browser, they’re getting closer to supporting Opus Codec for streaming but dragging their heels. Recall that a few years back Microsoft promised a Skype TX high-quality audio streaming voice over service but that was all hype and no action. Not even an alpha version was developed. So, don’t hold your breath for that. Streaming Audio with Firefox Quantum. “Frustratingly, Firefox has always been slightly behind the Blink based browsers such as Chrome in terms of what we need to get the best out of ipDTL. That said, it’s come on some way recently and you can now run ipDTL in Firefox with just a couple of limitations, and this is a neat solution for those who have had audio problems between Chrome and Windows 10. So there you have it. 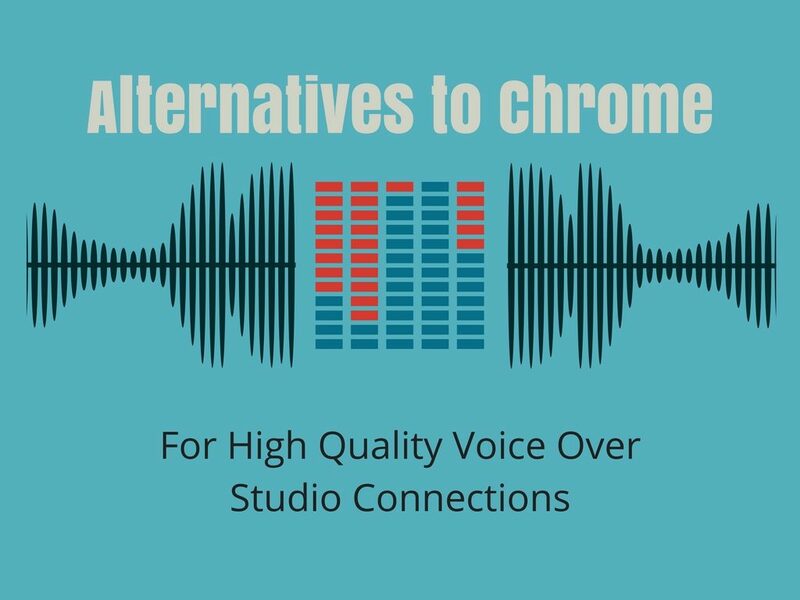 If you need alternatives to Chrome for audio streaming voice over studio connections you have several choices: M57 Chrome, Custom Chromium, Opera, Yandex, and Firefox Quantum. Good luck, and here’s wishing you a great session!